Items were found in Archives (Accession No. 1973:27). Collection is in original order. Louis Childs Madeira, Jr. was born on June 2, 1853 in Philadelphia, Pennsylvania. He attended the Episcopal Academy of Philadelphia and then entered the University of Pennsylvania with the class of 1872. After two years at Penn he left to work for several railroads, and eventually joined the family firm of Luis C. Madeira and Sons in 1877. Madeira earned his B.S. 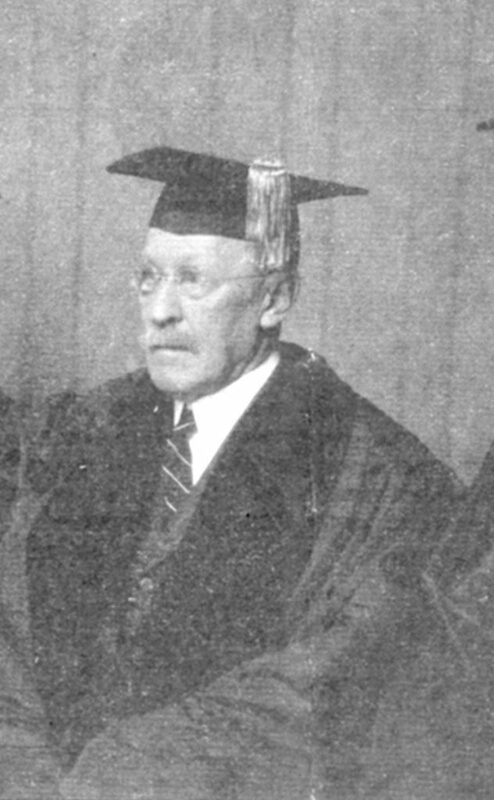 in 1899, and received an honorary LL.D in 1926. Madeira was active in University affairs throughout his life, serving as director of the Athletic Association, a Trustee of the University, a member of the Board of Managers of the University Museum, and a member of the University of Pennsylvania Fund. He died in 1930. The Louis Childs Madeira, Jr. Papers contains 2 letter copy books of outgoing correspondence. The first volume cover the period 1898-1901, and reflects Madeira’s involvement in the University of Pennsylvania Athletic Association, Republican Party politics, the Waterworks in Philadelphia, business matters, and personal letters. The second volume relates to Madeira’s work as Secretary of the Committee for the Army-Navy Academies’ Football Game and as treasurer of the University’s Gymnasium Committee for 1899-1902. Additional material on Louis Childs Madeira, Jr. can be found in the Clark and Madeira Family Papers (UPT 50 C592). University of Pennsylvania. Athletic Association. University of Pennsylvania. Franklin Field. University of Pennsylvania. The Gymnasium. University of Pennsylvania. Weightman Hall. Physical education facilities–Finance–Records and correspondence.